Dirt and dust easily settle into upholstered fabric on often used furnishings in your residential or commercial spaces. The trained and experienced professionals at ServiceMaster of Aurora has built a reputation as a reliable professional upholstery cleaner in Aurora and the surrounding areas. Whatever the size or scope of your residential or commercial furniture cleaning needs, ServiceMaster of Aurora will get the job done quickly, safely, and within your budget limitations. An experienced upholstery cleaner will use state-of-the-art equipment and techniques, and an extreme attention to detail to make sure you are completely satisfied. Call ServiceMaster of Aurora today at 630-896-0030 to speak with a knowledgeable representative for complete information on the services for a professional upholstery cleaner in Aurora and the surrounding communities. Furniture and upholstery are important parts of your home that should be handled with care. Regular upholstery cleaner services can help to prolong the life of your furniture. Qualified technicians at ServiceMaster of Aurora can take care of any level of damage or stains on just about any fabric or furniture piece. On-site dry cleaning is also available for more sensitive fabrics and draperies. 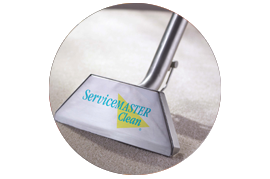 Beyond any regular cleaning and maintenance for your furniture, the industry experts at ServiceMaster of Aurora can also be counted on in cases of fire or water damage. Experienced technicians can perform upholstery cleaning and restoration required due to water damage, mildew growth, charring, and fire damage.